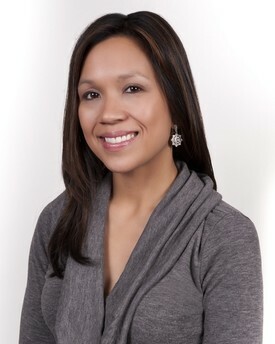 Dr. Caruso, known to her patients as " Dr. Jenny", is a North Carolina native. As a young child, Dr. Jenny had several influential dental experiences including root canal treatment and braces that inspired her to pursue dentistry. She graduated from the University of North Carolina at Chapel Hill in 2000. In 2006, she graduated from the University of Pittsburgh School of Dental Medicine. Dr. Jenny is passionate about cosmetic dentistry and is concerned about overall well-being and how it contributes to oral health. Dr. Jenny and her staff's mission is provide an enjoyable, relaxing, and friendly environment for her patients. She and her husband, Tyler, have two young sons, Wyatt and Blake. San Diego (June 20, 2015)—The Academy of General Dentistry (AGD) is pleased to announce that Dr. Jennifer Caruso, DMD, FAGD, of San Marcos, CA, received the association’s Fellowship Award during the AGD 2015 annual meeting, which took place June 18 to 21 in San Francisco. 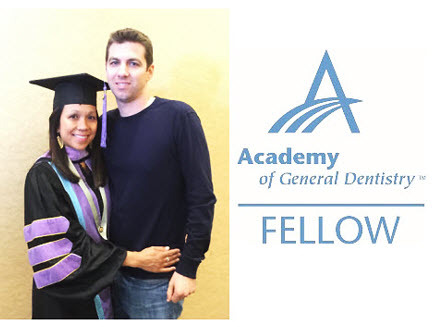 The AGD Fellowship Award is presented to dentists who seek to provide the highest quality dental care by remaining current in their profession. To earn this prestigious honor, Dr. Caruso completed 500 hours of dental continuing education, passed a comprehensive written exam, and fulfilled three years of continuous membership in the AGD. As a Fellowship Award recipient, Dr. Caruso joins more than 6,600 active AGD Fellows who have gone above and beyond the basic requirements to care for their patients’ oral health. 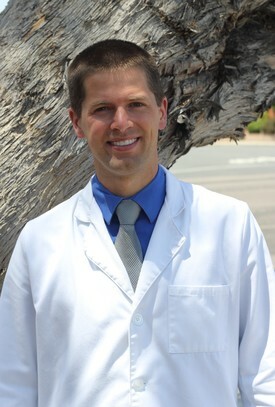 Dr Wilson is a second generation dentist and a graduate from the University of Colorado School of Dental Medicine. He prides himself in providing excellent care and a comforting experience for all of the patients he sees. Prior to moving to San Diego, he completed a residency program at the San Francisco VA where he treated veterans with top-notch comprehensive dental care and became experienced in placing and restoring dental implants. In his free time, he enjoys the outdoors. His hobbies include running, biking, and snowboarding. Recently, he has started surfing.